Glen L Ryland created Frontier Holdings in 1982. This new company had four divisions: The Frontier Development Group, which entered the mail order business; Frontier Horizon, which provided cut-rate service by using non-union labor; Frontier Leaseco, which handled the leasing and purchasing of aircraft and large equipment; and Frontier Services, which ran support services related to aviation and travel. 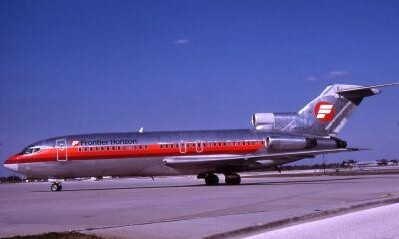 Skybus (investor group) purchased Frontier Horizon on January 11, 1985.